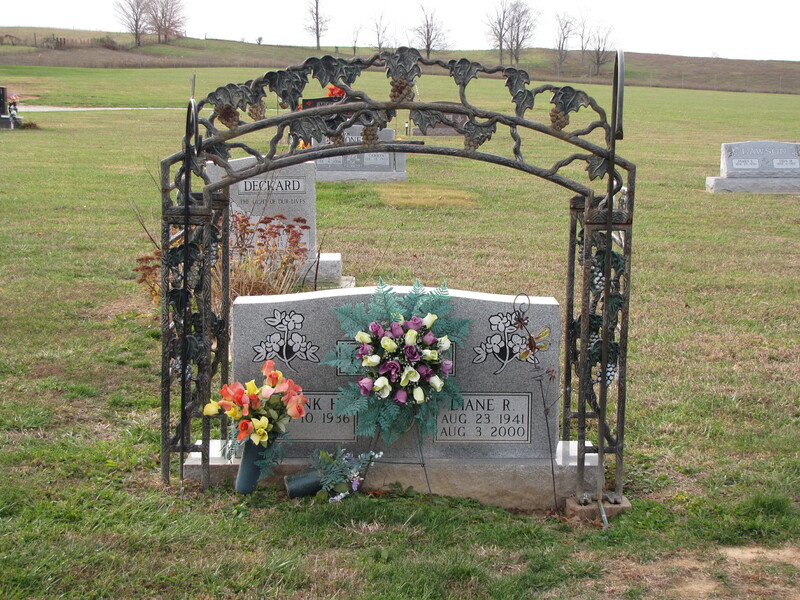 The gravestone above is surrounded by a metal trellis decorated with tinted grape clusters and leaves. In Christianity the Eucharist, which is part of a religious ceremony also called Holy Communion, is a time when Christ’s followers are to do as Jesus instructed at the Last Supper. Jesus broke bread and said, “This is my body” and drank wine and said, “This is my blood”. 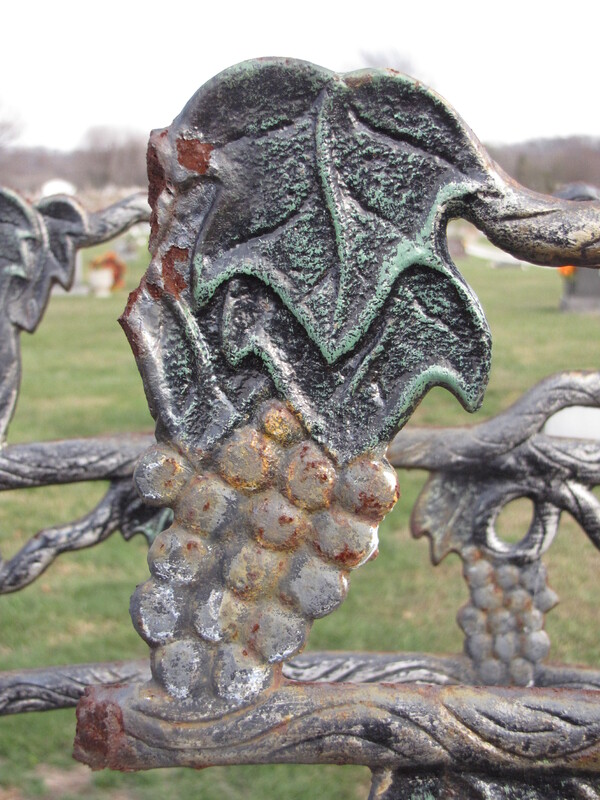 The grape in cemetery symbolism represents the blood of Christ. this is my family. Do you know them? No I do not. However, I was struck by how beautifully the memorial is decorated with the grape leaf motif trellis. It is a lovely tribute.